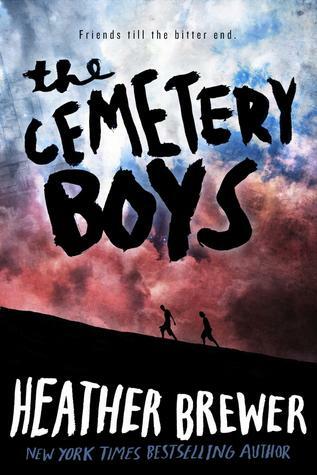 The Cemetery Boys is my first experience with the writings of Heather Brewer, author of the Chronicles of Vladimir Tod series. Although the story didn’t hold any surprises for me, I’m interested enough to pick up her other books. When Stephen’s dad loses his job, they are forced to move back to his dad’s home town, some weird small town called Spencer. Here he meets Cara, a cute girl, and her brother Devon. Devon and his friends love to hang out at the cemetery. After a while Stephen discovers that not everything in Spencer is what it seems. Ms Brewer writes boys extremely well; I enjoyed the inner monologue and sarcastic remarks of Stephen. It was also refreshing to see a young-adult romance through the eyes of a boy, without that romance being a projection of what a female would like a boy to think about his crush. Stephen’s thoughts are destinctly teen-boy, with him wondering what it would be like to kiss those kissable lips, instead of thinking how he must love and protect her for ever and ever. Yay for realism! Having years of experience with detective and crime fiction (especially on television), I have a knack of guessing endings. I always expect the unexpected – the person least likely of being the killer usually is. Whether it’s the kindly butler or the loving mother, I have a nose for finding the bad apple. Yet again this nose worked, and I knew what the final twist would be. It was still a good twist, it was just a shame that I found it out beforehand. The Cemetery Boys is well-written, and has a lovely dark atmosphere. I enjoyed how some questions aren’t fully answered, because answering would have diminished the magic of the story. I would recommend this for fans of Darren Shan, Madeleine Roux, and Charles Gilman.